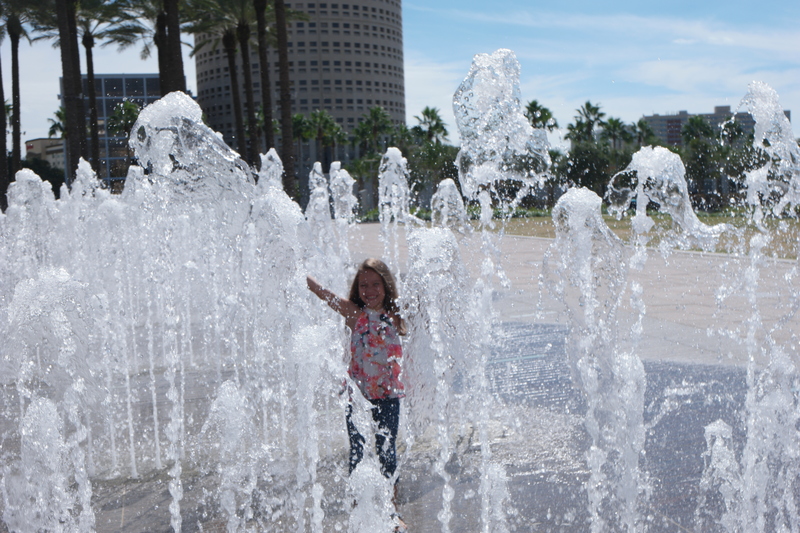 Early in our move to Tampa Bay, we had heard about the Tampa River Walk, how beautiful it was and the endless events and activities that take place there. 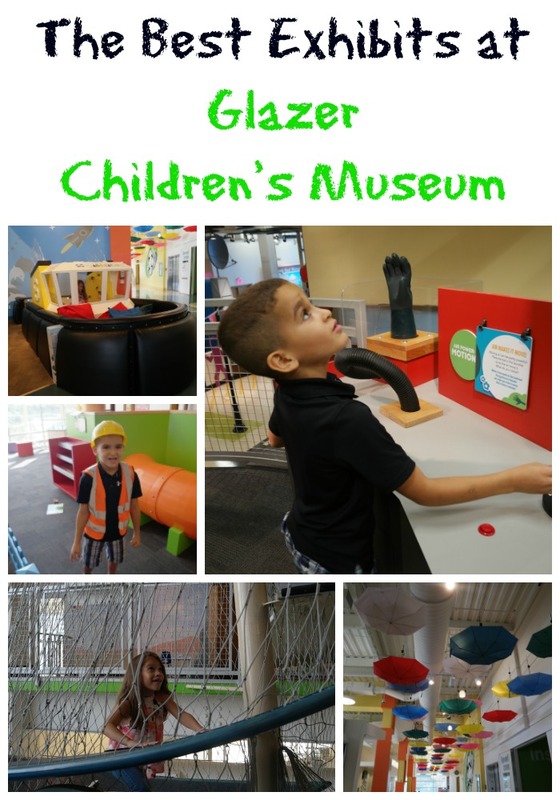 When I decided to check it out, the Glazer Children’s Museum stuck out as an interesting place to explore with the kids. So, I was excited when the museum invited us to visit. Growing up in Massachusetts, I had visited the Boston Children’s Museum countless times and always made amazing memories, and I was excited to do the same in our new home state. 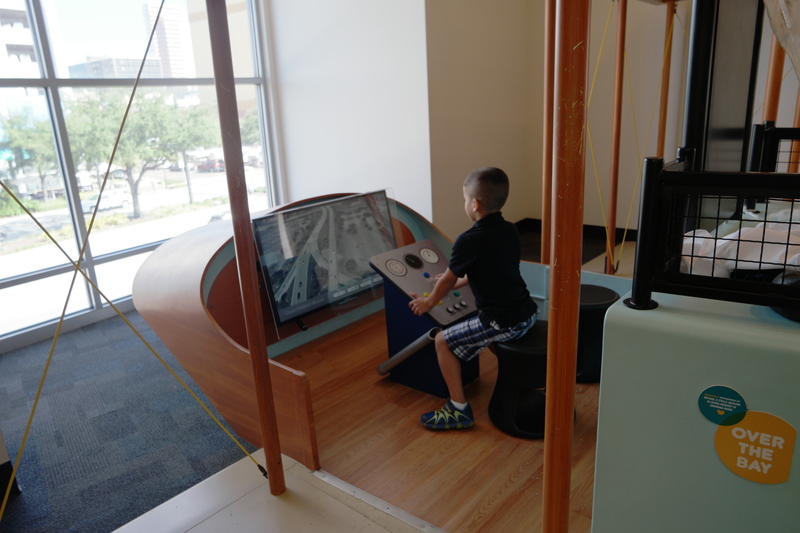 As you enter the museum, the highlight of the first floor is the large water play area with various weather simulations, boat navigation, and water flow areas. The entire family had fun in this area, especially with the weather simulator. 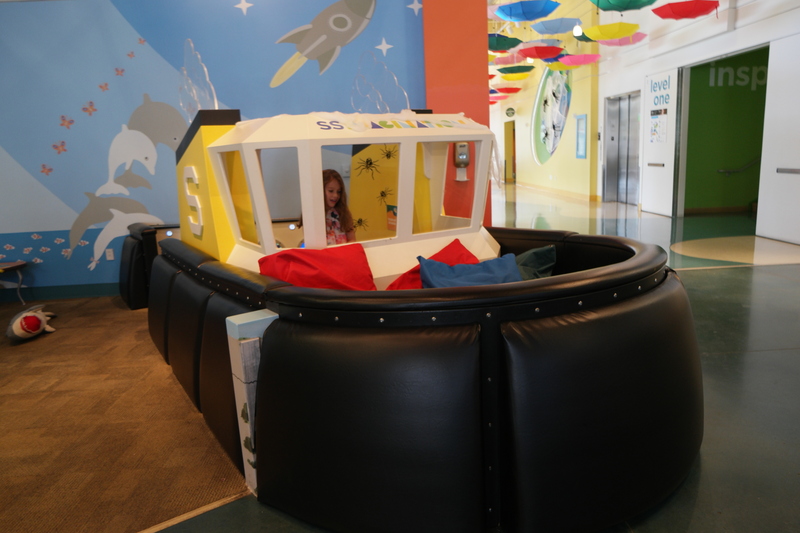 Along with the large water’s Journey exhibit, the first floor offered a unique sandbox area and tugboat play structure. 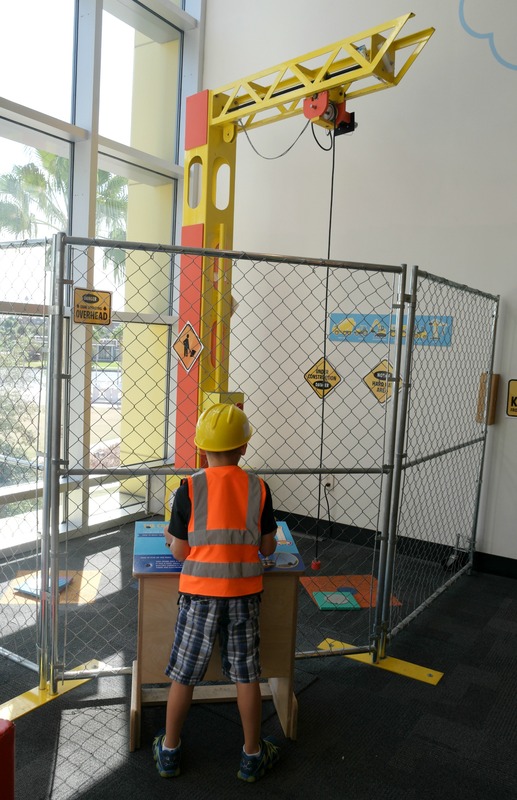 Like in museums we have visited in the past, Glazer Children’s Museum has a large climbing structure for the kids to conquer. 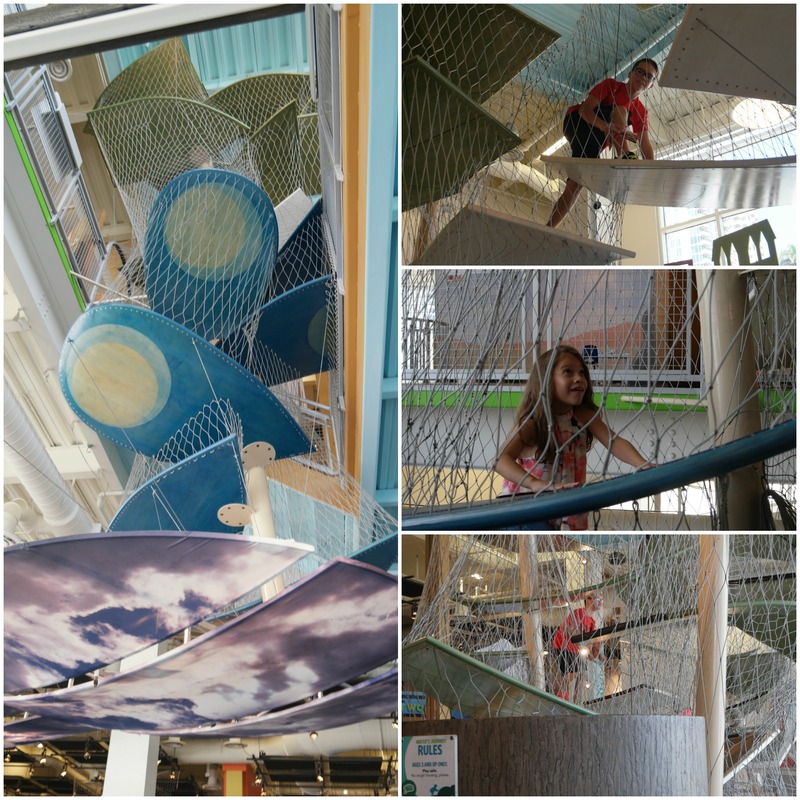 These climbing structures are always one of the kid’s favorite exhibits. They climbed up and down several times, laughing along the way, as mommy and daddy got to relax on the benches next to the exhibit and look on. 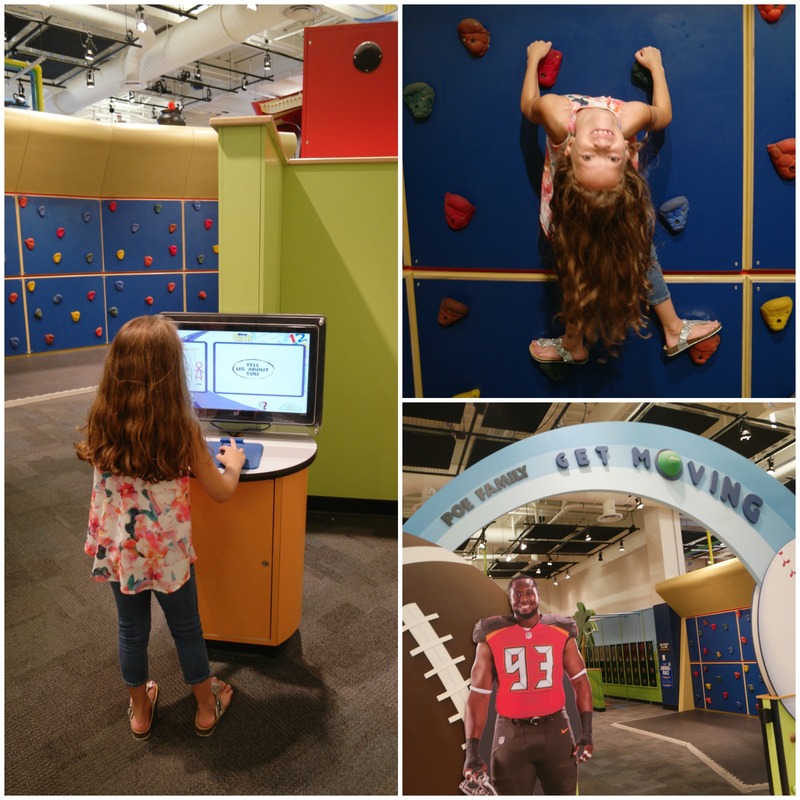 Once the kids were done climbing, we got to explore the second floor which featured a pretend firehouse, hospital, pet clinic, Publix, Outback, theater, news station, and more. I was impressed with how clean and organized the museum was given the fact that they had so many exhibits on one level. Also, having the majority of the exhibits on the one floor made it easier for parents with multiple kids to watch them all as they played. 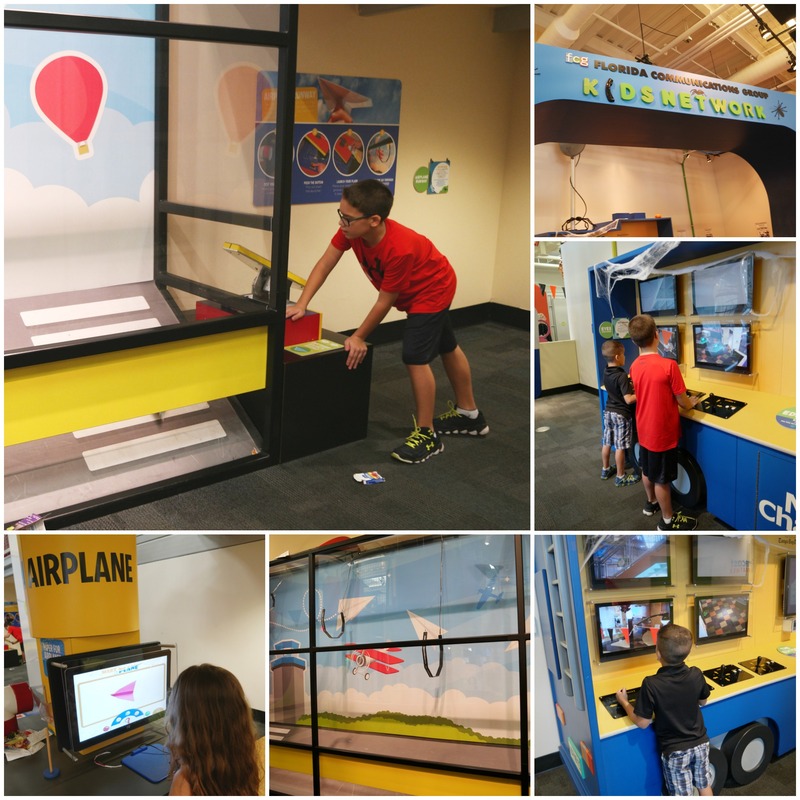 Anthony was too old for many of the exhibits, but he did really like the paper airplane section and learning about new broadcasts in the Kids’ Network. Aidan enjoyed every single exhibit and played for hours. 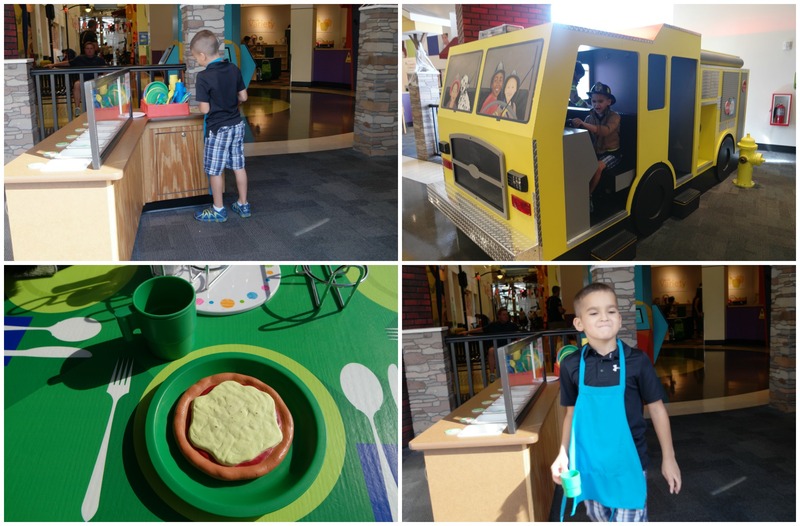 His favorites were the firehouse, the restaurant, and the construction area. Lilly spent most of her time in the Get Moving area. Which showcased a rock wall and a racing area. After we finally convinced the kids to head outside, we enjoyed a bit of the beautiful River Walk. 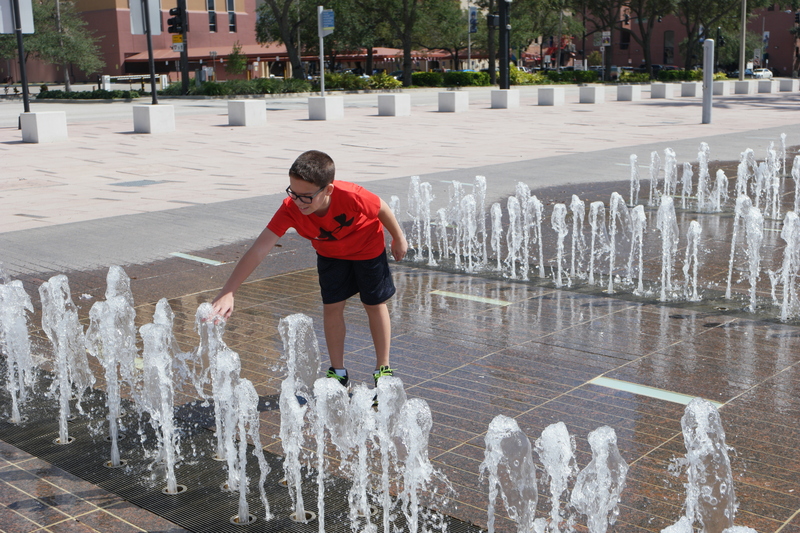 The Glazer Museum is located right on River with an interactive fountain, playground, and large field right outside the door. It was a wonderful day that I can absolutely recommend to mothers of young children in the Tampa area. 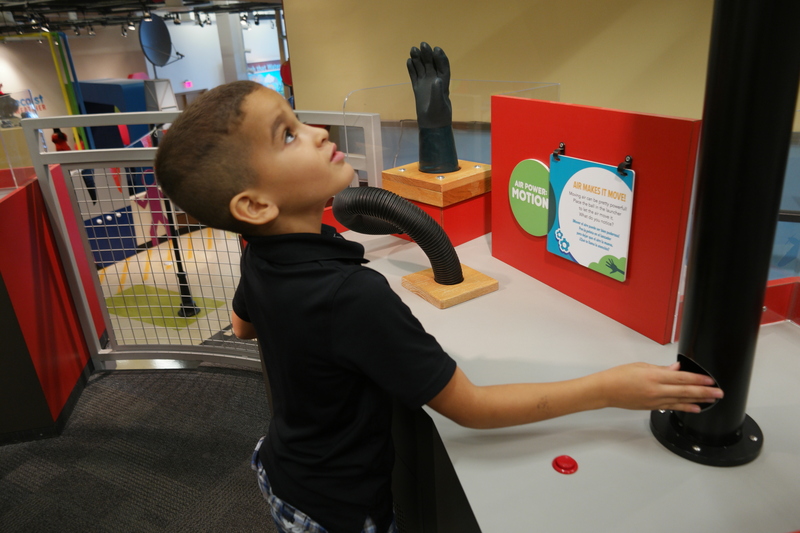 After a fun afternoon, I can say with confidence that the Glazer Children’s Museum is a perfect place for young families to make memories and learn new things. 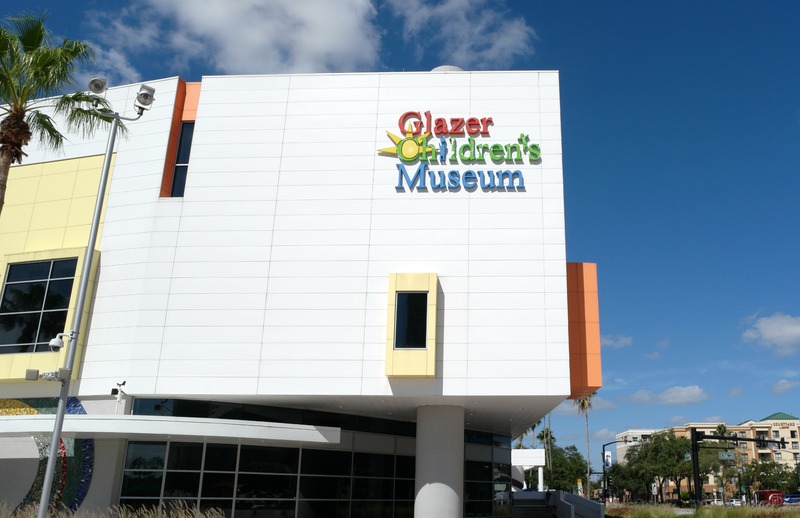 Disclosure: I received press passes to the Glazer Children’s Museum for myself and my family to facilitate this post, all opinions are always 100% my own. Previous Post: « 5 Tips for Getting Active and Beating the Winter Blues!